Born in 1997, Erraid spent the first eight years of her life on the Black Isle, Inverness, and then later moved overseas to Dhaka, Bangladesh. She now lives in Strathtay but considers Australia as her second home as her father lives there. From Scotland to Bangladesh, Scotland to Australia and back again – all these places have introduced her to new fields of colour. 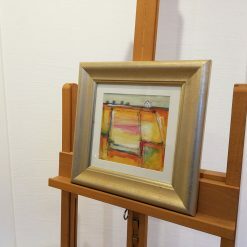 Erraid refers to herself as a mixed media artist creating paintings of the Scottish landscapes and seascapes. 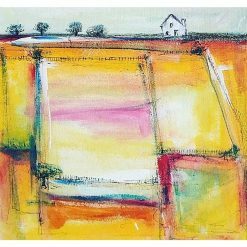 She uses a wide range of media: acrylic, pastel, collage and oil. Living in Strathtay she draws inspiration from the surrounding countryside, the west coast and the mountainous regions of Scotland. Her artwork represents her memories and imaginations of these places, evoking them rather than representing them. Erraid is currently attending Duncan of Jordanstone College of Art and Design, specialising in fine art.